Mayor Kenney's proposed sugary-drinks tax could be hard to swallow. At three cents per ounce, it is three times the only existing soda tax in the country. And it is certain to face the withering opposition from drink manufacturers and unions that killed two similar efforts here in the past. But Kenney is promoting what the tax could achieve - universal pre-K, jobs, and development projects to the tune of $400 million over five years. Several members of Council said Monday that the broad benefits could make the proposal more palatable this time around. And Council sources suggested that at least six of 17 members were open to the tax. "I think the major initiatives and programs the mayor is introducing affect every Philadelphian in every district in every neighborhood of the city," said Councilman Bobby Henon. "It'd be hard not to consider." Already, however, the powerful American Beverage Association is lining up for a fight. Teamsters Local 830, which represents employees at beverage distributors, lambasted the idea Monday, saying the tax could result in the departure of Pepsi and Coca-Cola operations in the city, a loss of jobs, and "a consumer revolt." "As we have twice in the past, Teamsters Local 830 will once again exhaust every resource available to us to defeat the new administration's proposed soda tax," said secretary Daniel Grace. John Longstreet, CEO of the Pennsylvania Restaurant and Lodging Association, said that while he "commends" Kenney for trying to fund universal pre-K, he thinks a soda tax is the wrong approach and could scare restaurateurs away from Philadelphia. "While we absolutely, desperately, need universal pre-K, we also absolutely, desperately, need jobs," Longstreet said. $256 million for universal pre-K, which Kenney hopes to grow by 10,000 seats by 2020. $39 million for 25 community schools, which would incorporate academic, health, and social services. $23 million for Council President Darrell L. Clarke's plan to retrofit city and School District buildings to make them more energy-efficient. $56 million to repay part of a $300 million proposed bond for rebuilding parks and recreation centers. $26 million to the city's pension system, which has a $5.7 billion deficit. The levy would apply to any beverage with added sugar, including sports drinks and sweetened teas. Diet drinks or those where sugar is added at a customer's request, such as coffees and teas, would not be taxed. The tax would be levied on distributors. Restaurants and markets would not pay the tax directly but could see higher prices passed on by distributors. 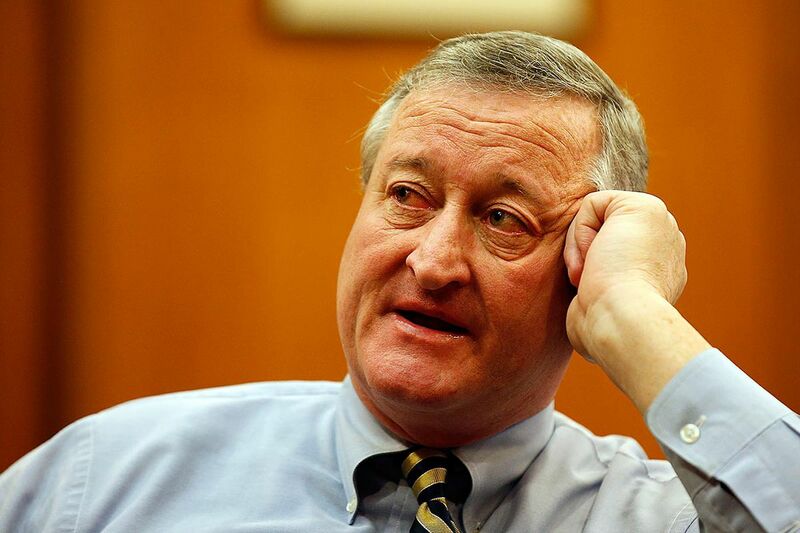 Kenney's tax proposal exceeds the two-cents-per-ounce levy Mayor Michael Nutter sought twice. It is also two cents higher than the only tax of its kind, which is in Berkeley, Calif.
"This will be successful this time," Kenney said in a recent interview in his office, sipping from a Diet Pepsi - which would not be taxed. "There's more evidence the funds will be used for things that people can clearly identify and Council members can clearly identify with. Before, there was no identifiable project or projects tied to it." Clarke declined to comment through his spokeswoman, Jane Roh, who said he would not do so before the plan is presented at his budget address Thursday. The proposal puts the Council president in an interesting spot. He opposed the tax in the past, but this proposal would fund two of his initiatives: community schools and his job creation plan. Other Council members were hesitant to make commitments Monday. But a City Hall source familiar with the conversations said about six Council members support the tax or are amenable to it - a solid starting point for negotiations. Council would need nine votes to approve the tax. That's not to say it will be an easy push. Councilman Curtis Jones Jr., who supported the tax last time around, said he had never seen a more intense lobbying effort. He recalled how supporters thought they had the votes needed to pass a modest half-cent tax, only to lose moments later. "By the time a couple of those Council people, who will remain nameless, got to their seats to take the vote, the lobbyists had consumed them," Jones said, "like wildebeests being attacked by lions on the way to graze." Councilwoman Jannie L. Blackwell said she expected similar pressure this time from soda companies and unions. Blackwell said that as of now, she's against the tax. "I know we need money," she said. "I'm not irresponsible, but I believe it'll be the same battle as the last time." Among those championing the tax are health advocates, who cite the connection between sugary drinks and obesity. Kenney's newly appointed commissioner of health, Thomas A. Farley, attempted to ban soda drinks larger than 16 ounces in New York City. Also in support are education advocates; the Service Employees International Union, which represents about 10,000 workers in Philadelphia (many in schools); and the NAACP. "We're saying, look, let's take the bite and let's set up pre-K," local NAACP president Rodney Muhammad said. "Let's do something so the biggest city with the worst poverty doesn't suffer any more." Kenney dismissed the argument that the tax targets the poor, who tend to buy soda at higher rates. He said the revenue would be invested in the community "by creating pre-K, community schools, and improving recreational infrastructure." Jim Engler, Kenney's policy director, said this is the only funding option that will reap those kinds of benefits. "All the levers have been pulled," Engler said. "It's an untapped resource that is still out there."